Carly started gymnastics at the age of five. She trained at Gymstrada (1982 – 1987), Hill’s (1987 – 1991), and Aerials (1993 – 1995) then continued the sport while in college. Carly graduated from West Chester University with her master’s in sports administration and a B.S. in computer science with a minor in athletic coaching. Carly was the assistant coach of the WCU gymnastics team and ran the athletic department’s website while in graduate school. 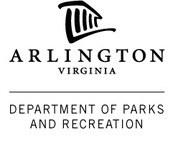 Carly started working for Arlington County in 1994 during the summers teaching gymnastics camp and classes. Carly has been with the Arlington Aerials since May 2001 and became the gymnastics director for the program in July of 2004. She is USA Gymnastics Safety Certified, Meet Director certified, KAT Certified, MELPD Certified and will be coaching the optional levels this season. Maija was a competitive gymnast at the Arlington Aerials from 1996-2006 from age 8 to 18, finishing her career as a two time State 2nd place all around level 8 gymnast and twice competing at the Regional level. She graduated from Georgetown University in May 2010 majoring in Psychology, and minoring in English, Cognitive Science, and Australia and New Zealand Studies. She was a competitive Division I Big East diver all four years at Georgetown, serving as dive team captain her senior year, and was nominated to the Big East Academic All Star Team for four consecutive years. Maija graduated in May 2013 with her Master’s in Sports Industry Management from Georgetown University. She has taught classes for Arlington Gymnastics since 2006 and coached the Aerials competitive levels part-time while in college. Maija is also the Assistant Director for the Arlington County Gymnastics Program. Maija is USA Gymnastics Safety Certified and will coach levels 5 and 6 this season. Rachael began gymnastics at the age of three and was a USA gymnastics competitor for 9 years, culminating at level 10. She went on to become a member of the Rutgers University gymnastics team, but unable to overcome a knee injury as a freshman, took on the role of team manager. Rachael graduated from Rutgers in May 2008 with a degree in exercise science. In addition to being a competitive gymnast, Rachael taught gymnastics starting at the age of 16 at her gym in Massachusetts, ran a gymnastic summer camp, and while at Rutgers, taught gymnastics in their recreational program. Rachael is USA Gymnastics Safety Certified and will be coaching level 5 and up this season. As an ex-gymnast, Donnise has been involved in the sport for over 20 years. She has over 10 years of experience as an instructor/coach and has been at Arlington Gymnastics since 2001. She has experience in many aspects of gymnastics including preschool, recreational classes, trainer groups, and team. Donnise has completed three years at Trinity University, where she is pursuing a degree in Psychology. She hopes to finish her degree in the near future. She is USA Gymnastics Safety Certified, MELPD Certified, and KAT Certified and will be coaching Levels 3 & 4 this season. Vanessa did gymnastics throughout her youth until she moved to South Africa. Vanessa graduated from The University of Mary Washington in 2007 and received a B.S. in Business Administration. While attending UMW Vanessa was a competitive cheerleader all 4 years and flyer for the squad. Vanessa also attended The Culinary Institute of America in Hyde Park, NY where she earned her Associates Degree in Baking and Pastry Arts. Vanessa began working at Barcroft in 2007. Vanessa instructs preschool, Levels 1-4, Boys classes, and loves coaching! She is USA Gymnastics Safety Certified and will be coaching Xcel this season. Courtney began gymnastics when she was three years old and competed through level 10. She then joined the gymnastics team at Western Michigan University and qualified to NCAA Regionals as an all-around competitor her senior year. She graduated in April 2009 with a degree in Business Management. Throughout college she coached at Kids Gym, Inc. coaching the level 5/6 team and taught recreational classes. In addition to Arlington Aerials, she is also the coach of the McLean and Marshall High school gymnastics teams and is the After-School Program Specialist at Franklin Middle School. Courtney is USA Safety Certified and will be coaching Xcel this season. Becca has been passionate about gymnastics since she started at the age of 3. She competed in her hometown of Charlottesville, Virginia through Level 8 and began coaching at age 14. She then competed for the club team at James Madison University where she graduated in 2010 with a B.S. in Psychology. When not at the gym, you can find Becca teaching flying trapeze at the Trapeze School of New York in Washington, DC. Becca is USA Gymnastics Safety Certified, coaching Level 4 and recreational classes this season. Michelle is a former elite & college gymnast. Until 2006, she held the Virginia State High School Record in the All-Around. She was also recently named one of the Top 100 High School Athletes in Virginia by the Connection papers. Michelle graduated from George Mason University with her B.S. in Psychology in 2005 and then with her master’s in Educational Psychology in 2007. She graduated with an M.A. in Community Counseling in 2011 and is a National Certified Counselor. She has coached preschool – level 9 since 1998. 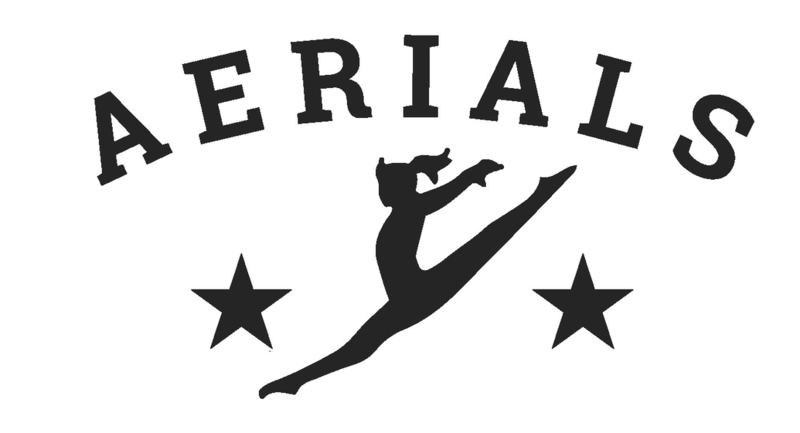 Michelle joined the Aerials staff in 2003. Michelle has coached high school gymnastics for Edison High School (2001) and Thomas Jefferson High School (2002 – 2007). Michelle is currently is a Transition Specialist II at Psychiatric Rehabilitation Services, Inc. She is USA Gymnastics Safety Certified and will coaching levels 5 and 6 this season. Laurie Mambert was a gymnast all through High School. She graduated from Wesleyan with a BS in Exercise Physiology and Physical Education. During her 4 years of undergrad she developed and operated a gymnastics program for local children. Upon graduation she moved to UWV and completed a master’s degree in management. She continued to coach level 4 and 5 after graduation in Dallas for a few years. After relocating to the DC area she began a 25 year career in Health and Fitness management. During this time she has coached many years on and off for the Aerial Aerials including pre-team through level 4 and 5. She has recently returned to our team. Laurie is USA Gymnastics Safety Certified and will be coaching Level 4 this season. Gina began gymnastics classes at a young age and joined the Arlington Aerials developmental team at the age of 7 and competed with the Aerials through level 7. She went on to attend the University of Southern California in Los Angeles, CA (which unfortunately had no club gymnastics team) and began to really miss the sport. During the summer of 2008, Gina started coaching at Arlington Aerials. She graduated from USC in May 2011 with a degree in Sociology and Music Industry and returned to coaching. Gina is USA Gymnastics Safety Certified and will substitute when needed. Dannie started gymnastics at age 7 training at Heartland Gymnastics Training Academy in Johnstown PA. She finished her career at Level 9 States her senior year of high school. Dannie graduated from West Chester University with a B.S. in Forensic Chemistry. While in school she coached preschool through level 4 at the local YMCA. Dannie is currently a chemist for a Navy base in Indian Head Maryland. Dannie is USA Gymnastics Safety Certified and will substitute as needed. Tim is a co-founder of the Arlington Aerials (1979). He graduated from Capital University, Columbus, Ohio with a B.A. in Psychology and has done graduate work in child development, physical education, elementary and secondary education, and athletic training (The College of William & Mary, UVA, VA Tech, Shenandoah University). Tim taught physical education in Arlington County Public Schools from 1971 – 2003. He is a USA Gymnastics VA Board member, a certified USA Gymnastics Meet Director, and has been USA Gymnastics Safety Certified since the inception of the program. Tim will be coaching the optional levels this season. Kurt started coaching in 1989 at Gymnastics Inc. in Hampton, VA. He worked at Woodward Gymnastics and Extreme Sports Camp as an Evaluator, Master Staff instructor and Clinician, coached at Nittany Gymnastics in State College, PA before taking the head coaching position at Radford University, where we achieved a new team scoring record and qualified gymnasts to NCAA Regionals. He then coached at Cardinal Gymnastics for 12 years before coming to the Aerials. Kurt is now a full time dad while teaching classes and team at Aerials. Kurt is USA Gymnastics Safety Certified and will be coaching level 4 and up this season. Melissa joined the Aerials coaching staff in 1998. She graduated from the University of Virginia with a degree in Environmental Sciences and worked as a government consultant for a few years before becoming an 8th grade science teacher in Fairfax County. Melissa is currently a stay-at-home mom while continuing to coach the Aerials. As a youth, she trained with the Marvateens in Rockville, Maryland where she was state all-around champion and runner up in the intermediate and advanced optional levels, respectively. After taking a break from competitive gymnastics during her middle and high school years, Melissa returned to the sport in college by joining the club gymnastics team at UVA. Melissa is USA Gymnastics Safety Certified and will be coaching level 4 this season. Terina has been an instrumental team player instructing recreational gymnastics classes for Arlington Gymnastics for over seven years. Terina has been a lead class instructor since that time having experience in all areas (preschool classes, level classes, birthday parties, and special events). 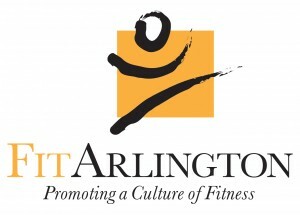 Most of the gymnastics participants know her as Mrs. “T.” She has also instructed at the Arlington YMCA. A former gymnast herself, Terina began taking gymnastics in the 7th grade. She quickly joined the YMCA gymnastics team and competed for Yorktown High School through her senior year. Terina is USA Gymnastics Safety Certified and will be coaching level 3 this season. Sue has been involved in gymnastics for nearly 40 years. She was a competitive club and high school gymnast in York, PA, 1977-1986 and competed for East Stroudsburg University from 1986-1990. She taught gymnastics classes at the YWCA throughout high school, and worked summers at International Gymnastics Camp from the age of 15, through college as an instructor/counselor and Master Staff member. In the mid '90s she coached high school gymnastics at North Brunswick High School, North Brunswick, NJ, while stationed at FT Monmouth, and later at Supreme Gymnastics Club, Jakarta, Indonesia (Australian Levels 4-6) in 2000. Sue moved back to the Virginia area in 2007 and coached at George C. Marshall and McLean High Schools. She joined the Aerials staff in 2010, coaching the All-Stars (now Xcel) program. In 2012 she moved to Bangkok, Thailand, for three years where she coached the Bangkok Patana School Gymnastics Team, Australian levels 4-6. The team competed against schools throughout Southeast Asia. Sue is married and has a 13 year old son. She serves in the Army Reserve; is USA Gymnastics Safety Certified; and is returning to the Aerials this year as a coach for the Xcel program. Jenni began gymnastics at age 5 and fell in love with tumbling both inside and outside of the gym. She continued taking classes through middle school then decided to use her flipping skills in other sports, training as an alpine freestyle skier and joining her high school cheerleading squad. After high school, Jenni attended The University of Central Florida and Marymount University to pursue her Elementary Education teaching license. She began teaching at Barcroft in 2009 and discovered her passion for teaching. Jenni is a dedicated member of the Arlington Gymnastics family, teaching preschool, instructing all levels of recreational classes, working as summer camp director and coaching the developmental team. She is USA Gymnastics Safety Certified and will be assisting with Level 3 this season. Eric worked for the YMCA in Staunton VA from 1989 – 1995 teaching preschool through level 6 for both girls and boys. From 1997 - 2013 he was an instructor/coach for YMCA Arlington VA teaching preschool - advanced and level 4-8 girls and boys including head coach of the boy’s team from 2009 to July 2013. Eric is USA Gymnastics Safety Certified and will be coaching Level 3 this season. Kaitlin began gymnastics as soon as she could walk at 11 months old in Mommy and Me class at Parkettes National Gymnastics Training Center. She continued gymnastics through high school completing her last five seasons at Parkettes as a Level 10 and qualifying twice to Junior Olympic National Championships. After high-school Kaitlin competed for Cornell University and over the course of 4 years was part of a team that won 3 Ivy League Championships, one ECAC Conference Championship, and USAG National Collegiate Championships. Currently, Kaitlin is a Clinical Researcher at Children’s National Medical Center. Kaitlin is USA Gymnastics Safety Certified and will be coaching Xcel this season. Heather started gymnastics at the age of five and continued in USAG for 8 years, reaching level 8. Heather then competed for her high school gymnast team finishing her competitive career as a level 9 gymnast at the end of high school. She graduated from the University of North Texas in 2013 with a Degree in International Development. Heather coached competitive levels 2-7 while going to school and also obtained her level 1-8 judging certification. She moved from Dallas, TX to the DC area in January 2015 to pursue a career in the international development field. Heather currently works full time as a refugee resettlement case worker. Heather is USA Gymnastics Safety Certified and will be coaching Xcel this season. Sonja loved gymnastics as a child. She started when she was five years old and continued through the beginning of high school. While in college at San Francisco State University, she instructed gymnastics for the City of San Mateo Parks and Recreation Department. After college, she moved to Washington, DC for graduate school at American University. In 2002, Sonja returned to California and instructed gymnastics for the City of Stockton Parks and Recreation Department. Upon moving back to Washington, DC in 2004, Sonja found a new home instructing gymnastics for the Arlington Gymnastics program. Sonja has worked with the Aerials and Tiger competitive teams, coordinated lesson plans for the pre-school program, and taught recreational gymnastics classes. She judged her first JO boys meet last year. She lives in Falls Church with her husband Chris and twin daughters Anna-Kristina and Nora-Elizabeth. Sonja loves international travel, art and culture, hiking and kayaking. Sonja is USA Gymnastics Safety Certified and will substitute when needed. Theresa began gymnastics at the age of 4 and was a USA gymnastics competitor for 9 years, culminating at level 10. She went on to become a member of the George Washington University gymnastics team. Theresa graduated in May 2005 with a Bachelor’s of Business and Master’s in Tourism Administration. Theresa worked for several years for Navy Morale, Welfare and Recreation prior to going to nursing school. Presently, Theresa works as an emergency room nurse at GWU hospital. Theresa started teaching classes and coaching team at Barcroft in 2006. She took a break from coaching to focus on being an emergency room nurse in 2009 but returns to assist groups as needed.